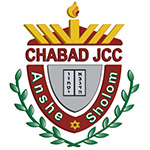 Anshe Sholom Chabad JCCCelebrating 90 Years of Community Service! Why is the Library called The Gutnick Library? The name is just the begining! Rabbis Gutnick OBM, was our grandfather. He was a great and loving man. Throughout his life he has contributed enormously to Jewish literature and continuity, through his speeches, lectures and writings. He was always welcomed respectfully on the American shores. It is our honor and merit that we name the Library after him, to serve as a reminder and source of inspiration, for all of us, of such great Jewish devotion, conviction and leadership. At the present time we have no primary donor for the library. The name is just the begining. We have indiviual donors who contribute to this worthy cause, and you can be another, you can have your name added to sections and or book shelves and more, so please donate today. Thank You.